But Harrington, 37, confessed that he is already dreaming of victory at Augusta and completing the third leg of the Paddy Slam by pulling on the famous green jacket next April. And while a win in the Masters would set up an incredible bid for four Major wins in a row in the US Open at Bethpage Black next June, he knows that he must start working on his game right now to pull it off. 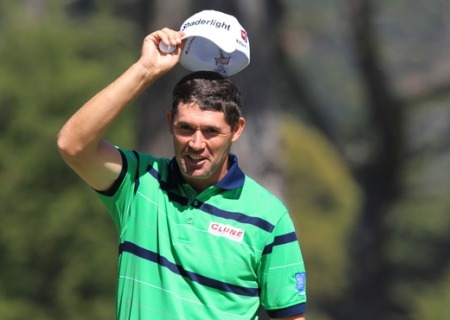 Determined to improve his swing, Harrington said: “I've got six months to get ready for the next major. If you're going to tinker with your golf swing, you've got to wait for the off-season. Harrington still has to play the Volvo Masters (Oct 30 - Nov 2), HSBC Champions (Nov 6-9), the Barclays Singapore Open (Nov 16-19) and Tiger Woods’ Chevron World Challenge (Dec 15-21) before he puts his feet up for the year. If he decides to go to California for Tiger’s charity bash, he will have just three weeks to get ready for his 2009 debut at the Abu Dhabi Championship (Jan 15-18). Skipping the Chevron event would give him nearly two months to work on his game and time to reflect on an amazing 2008 season that saw him successfully defend the Open and then grab the US PGA title at Oakland Hills. He’d love to round off a dream year by claiming the Order of Merit title for the second time at the Volvo Masters in Valderrama. But with current leader Robert Karlsson already €142,425 ahead of him and likely to go further clear following this week’s Portugal Masters, he’s not getting his hopes up. Harrington said: “Let’s be realistic, winning two Majors in any year is a real bonus. The results have exceeded expectations in some ways but my goal is always to get myself into position to win these big tournaments and I believe I can continue to do that. Victory at the Mid Ocean Club in Bermuda, where he admits he has unfinished business after being denied by Angel Cabrera in sudden-death last year, would be a bonus. 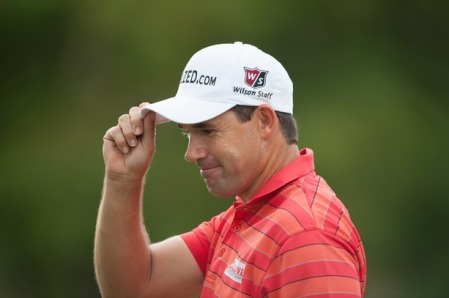 Padraig Harrington took another PGA Grand Slam reverse on the chin and confessed - I’d rather be lucky in Majors. Beaten in a play-off for the second year running when Jim Furyk eagled the first extra hole in Bermuda, the Dubliner consoled himself by reflecting on his double Major winning season.